In this modern world, birth announcements can be almost instantaneous. Long gone are the days of a hand written birth announcement arriving in the post some weeks after the birth. These days, you can share a photo of your brand new baby with your old primary school classmates, uni lecturers and colleagues with a few simple swipes on a smart phone. Some women even choose to share their labour progress live on Twitter, letting all of their followers in on their contraction times and birthing position as it happens. After nine months of growing a pretty impressive pregnancy bump, the birth of your baby isn’t ever really going to be that much of a surprise, but that doesn’t mean you can’t have fun with it. One couple recently kept the fact they were having twins secret, so when friends and family arrived at the hospital to welcome the new baby, they were pretty surprised to discover there were actually two new additions to the family! Birth announcements are always well received. And whether they arrive by post, email or social media, those newborn baby photos are always swooned over by friends and family who simply can’t wait to meet the new addition. Smartphones have opened up a new world of opportunity with people now able to share videos of their babies with friends and family. No matter how far away your sister lives, she can experience the hiccups, lip smacking and startling of your newborn baby for herself thanks to video technology. Now you can take things a step further thanks to the new Apple Watch. The Apple Watch has a feature that can record your heartbeat and send it to other Apple Watch users. The receivers can then feel the heartbeat for themselves as a series of pulses given out by the watch. This is a part of the watch’s Taptic technology. One couple decided that this was the perfect way to announce the birth of their child. 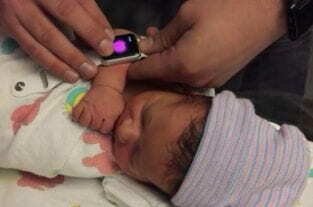 Using the watch’s technology, the parents recorded the heartbeat of their newborn baby. They sent this to family members across the world, allowing them to feel the beating heart of the newest member of the family. Check out some creative pregnancy announcement videos. 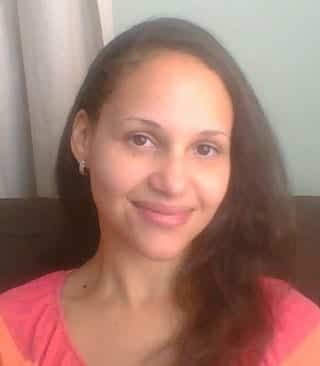 Read BellyBelly’s article on how not to react to pregnancy announcements.